Pioneers in the industry, we offer bagging machines and jumbo bag weigher from India. With the endorsement of our adept professionals, we are engaged in offering a qualitative range of Bagging Machines that have feather touch membrane keypad. 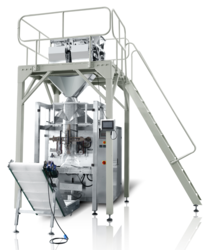 This bagging machine is available from us on diverse specifications to choose from. Our bagging machine is developed utilizing finest quality components and leading techniques under the supervision of experts keeping in pace with industry norms. The given bagging machine is thoroughly inspected on numerous measures by our quality controllers so as to deliver a flawless range. Aiming to satisfy our clients, optimally, we provide our clients with a quality approved array of Jumbo Bag Weighers. The offered products are developed under the observation of professionals using top notch material & modern techniques in tandem with the industry norms. These products are demanded in the market due to its remarkable quality. Also, we are giving these products at affordable prices to our customers. 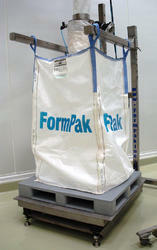 Looking for Auto Weighing & Bagging Machine ?